The West of England Centre for Inclusive Living (WECIL) is an organisation of disabled people working together to enable choice. We challenge the barriers to independent living through the delivery of high quality support and advice. Paid membership system allowing users to pay for a subscription, and handling cancellations and renewals. 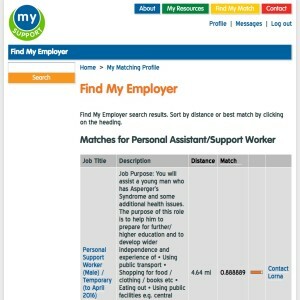 Custom-built search ranking job profiles against personal assistant profiles to find the best match. Custom-built synchronisation with Sage Payroll system to enable clients to download payslips and upload time sheets. As the information contained in the portal is sensitive, the system was designed with security in mind, with full encryption of all data transfer and storage.